What was the first handheld game console to ship with a color display? 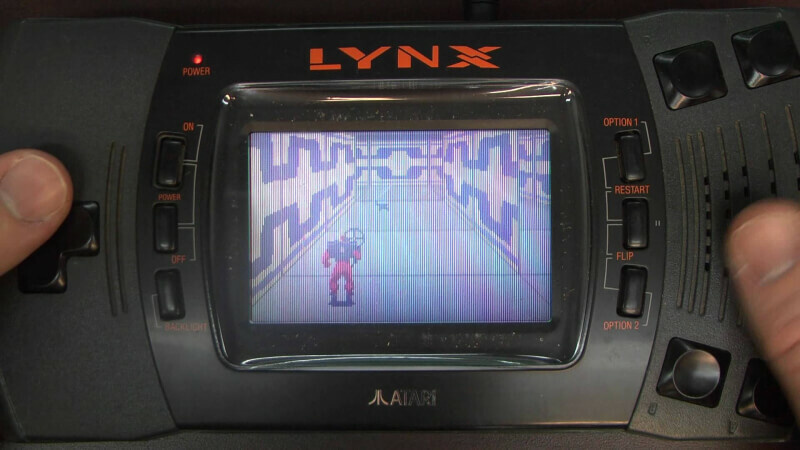 Released in North America for $179.99 back in September 1989 (Europe and Japan got it in 1990), the Atari Lynx was the first handheld game console with a 160×102 LCD that could show up to 16 colors simultaneously out of 4,096 available colors -- its primary point of competition against the $90 Nintendo Game Boy. It also stood among the Lynx's many forward-looking features, its the ability to network with up to 17 other handhelds through its "Comlynx" cable system. Sega's Game Gear arrived soon after in 1990/1991 featuring a 160×144 LCD with 4096 colors (32 at a time), while Nintendo's Gameboy Color shipped to Japanese customers in October 1998 with a 160x144 LCD supporting 32,768 colors (56 simultaneous), as well as double the processing power and triple the memory inside 1996's Game Boy Pocket. The Neo Geo Pocket Color shipped in 1999 with a 160x152 LCD also supporting 4096 colors but the ability to show 146 on screen. Perhaps of note, Palmtex offered the Super Micro in 1983 with a 16x32 monochrome LCD and overlay sheets to display color, though the screen itself couldn't produce colors.